The reality of today is that gaming is a part of our culture. From desktop gaming to tabletop RPGs, mobile gaming to augmented reality like Pokemon GO, gaming is everywhere. Gaming is doing more than just boosting our brain power, it’s transforming the workplace and even education as well as aiding with disaster relief. The technology developed by video game designers has made its way into the mainstream. Virtual reality and augmented reality have many more applications than just gaming: they are transforming healthcare, architecture, and even furniture shopping. This same video game technology is also being used in a number of unexpected ways, including the way we respond to and deal with natural disasters. Here are some simple ways that video game technology is helping emergency personnel, the media, first responders, and even charities in the event of a natural disaster. 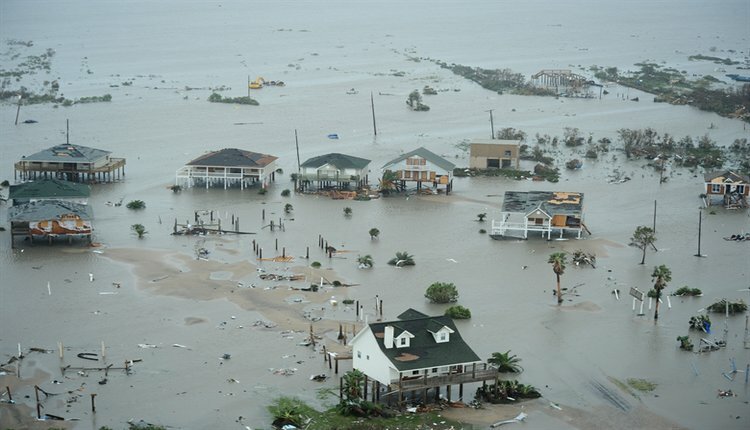 Galveston, Texas after Hurricane Ike. Source. Video game graphics are amazing, reaching nearly cinematic quality in many video games like Fortnite, Kingdom Hearts III, and more. The popularity of esports and games like NBA 2K, now with its first season already in the books on Twitch has fueled realistic graphics development even further. What does that have to do with illustrating danger? In the southeastern United States, the danger of hurricanes is present every year, and one of the major issues is getting people to understand the danger and evacuate. This is especially true of those in poverty, who are often hit hardest by natural disasters. They often lack the resources to stock disaster preparedness kits and may even be ignorant regarding what disasters are possible or what they should be prepared for. Many also do not know how to set up alerts for local events that may affect them, all important parts of disaster preparedness that could save their lives. Looking for a potential answer to at least part of the problem, the Weather Channel (TWC) turned to gaming. When Hurricane Florence was inbound, the channel had just expanded its green screen capability, and so they reached out to Epic Games and their Unreal Engine 4 to create a virtual wall of water simulating possible storm surges. After all, the key to getting people to engage with information they are presented with is to get their attention and keep it. Graphic realism is just one way broadcasters are doing this. Marketers and game designers were ahead of the curve, and now the rest of the media world is following in their footsteps. How do you train for disaster relief? The same way we are training doctors to do autopsies, surgeons to do surgery, and even soldiers to wage war and fight terrorism: through gaming simulations. At first glance, this might seem like a strange idea, but Sandia computer scientist and software engineer Donna Djordjevich and a prototype project she now has under development with the University of Southern California’s GamePipe Laboratory hope that soon, people may see things differently. Modeling and simulation have been a big part of training for a long time, but the idea is to take things much further, thrusting trainees into real life type scenarios through games. With the addition of virtual reality, users can “see” and “feel” the situation without the risk of actual physical harm. The potential applications range from fire departments, police departments, and the military to semi-truck drivers, boat captains, and aircraft pilots who may be responding in conditions they have never seen. Training emergency responders for disaster relief has always held a certain amount of risk, but video gaming technology is making it more manageable than ever before. For a while now, gamers have been using their audiences to make money, developing followings on Twitch, YouTube, and other video game sites. However, when natural disasters strike, they often use them to raise money for disaster relief. Tiltify, a secure crowdfunding platform has seen a sharp increase in efforts by gamers following hurricanes and other disasters, with thousands of fundraising campaigns for disaster relief. Nonprofits like Direct Relief received over $500,000 in donations from more than 30,000 individual contributors, often the result of gameathons set up by gamers following Hurricanes Harvey, Irma, and Maria. Typically, the gamers stream their game playing sessions on Twitch and encourage watchers to donate as they play. The next generation of those who give to charity will come from the gaming community, especially young people, and their interest and contributions are growing. In an era of concern over climate change, an increasing number of natural disasters, and a growing need for fundraising to help those affected, the gaming world is stepping up. Technology that makes games more realistic is helping get the word out and motivate people to evacuate. First responders and emergency personnel are using it to train for disaster relief. Technology is helping in some amazing ways in the event of natural disasters, and we have the video game industry to thank for it. Frankie Wallace is a freelance writer who contributes to a wide variety of different blogs and is interested in writing about gaming, pop culture and politics.